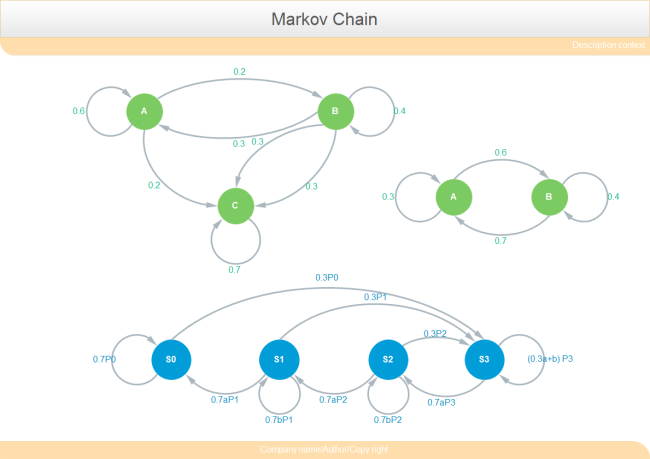 Description: An intelligent template for Markov chain is provided here. Edraw includes shapes and tools for drawing marcov chain as quick as lightning. It is flexible enough to make personalized Markov chain as well as other diagrams.